July 20, 2018- Givati Staff Sgt. 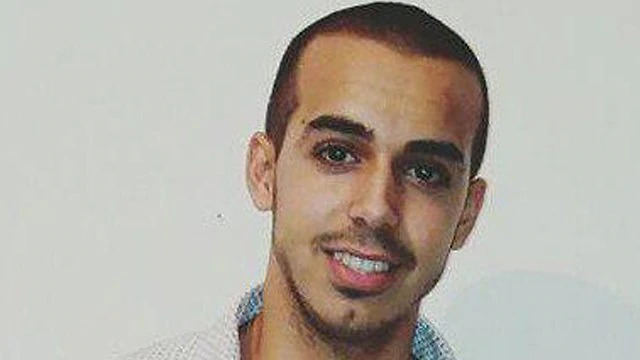 Aviv Levi, 20, the first soldier shot to death on the Gaza border since Protective Edge, was supposed to celebrate his 21st birthday in two weeks; 'He was proud of his military service,' says one friend; 'he did everything for his soldiers,' his brother adds. Staff Sgt. Levi, a Givati soldier, was supposed to celebrate his 21st birthday in two weeks and was only three months away from his IDF release. "He planned to work and make his dream come true of traveling South America with his friends," said one friend. The IDF said Levi, who was wearing a ceramic vest, was killed by a bullet to the chest. A helicopter was initially called to evacuate the severely wounded soldier, but he was pronounced dead in the field. The IDF retaliatory strikes that followed Levi's shooting killed three Hamas fighters. A fourth Palestinian was killed later. In total, 60 terror targets were attacked, with three battalion headquarters destroyed. Early Saturday, Hamas announced it had agreed to a ceasefire with Israel, and the truce mostly held since. Levi is the first IDF soldier shot to death on the Gaza border since the end of Operation Protective Edge, almost four years ago. His parents Perry and Yaakov and younger siblings Noy, 15, and Dan, four, received the terrible news of his death while on vacation in Italy. His brother Oriyan, 19, is also in the IDF. Aviv, the oldest grandchild, was named after his grandfather Abraham. He was raised in Petah Tikva, where he attended the Golda Meir high school. According to his friends and family, Aviv very much wanted to join the Givati Brigade. "He was afraid he would be recruited to the Armored Corps, and when the army recruited him to Givati, there was no one happier," one friend said. "During his service, he did a medics' course, a commanders' course and a sergeants' course. He was proud of his military service," the friend said. "He kept talking about his service. He encouraged my brother to take a combat role." Aviv, the friend said, "loved surfing in the sea, loved soccer, and was a fan of Maccabi Tel Aviv." His brother Oriyan said that "Aviv did everything for his soldiers. I once met one of his soldiers by chance, and he told me there wasn't a single person who didn't love (Aviv) in his platoon. He gave them everything they needed—his heart and soul." "He was my role model," the brother added. "Every time Aviv would come home (from the army), he would spend time with our little brother Dan, who is four. He'd take him to soccer, to the movies, to the beach, for ice cream. He was very close to him. My parents are heartbroken and are having a hard time accepting this." His girlfriend, Shahar Erez, wrote an emotional post on Facebook. "My dearly beloved, my warrior. I've yet to comprehend what has been happening since the moment you left me. My heart is burning and the tears won't stop falling. Who would have believed you'd go so fast? I refuse to believe you're not here with me anymore, I refused to believe I won't be able to hear your voice again. My beloved. I'll always remember you, and you will always be in my heart. Watch over me and your incredible family from up there. The longing for you is so strong," she lamented.